Los Soneros is a group of versatile and talented professional musicians who perform authentic folk and popular music that reflects the true sound of their native Latin America. Authentic Mexican and Latin American music. 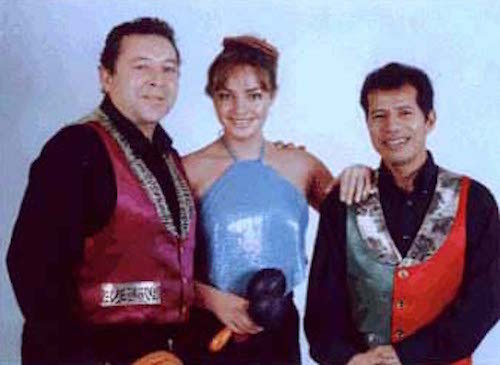 Whilst specialising in traditional Mexican and Colombian songs, from soft and romantic boleros to foot stamping Mexican rancheras, Los Soneros’ extensive repertoire includes popular music from across the Latin American continent – from traditional folk songs to the vibrant dance rhythms of the rumba and cumbia. Blending vocal harmonies with a variety of string and percussion instruments, they produce a range and quality of sound rarely heard outside Latin America and are universally acknowledged to be the leaders in their field. So, whether you would like some slow romance or a full-blooded Mexican fiesta, Los Soneros are guaranteed to set the mood and make your event one to remember! They perform regularly in hotels, clubs and restaurants; at weddings and private parties; at corporate and diplomatic functions and at Latin American events of all kinds. The group offers a variety of formats, ranging from soloists and duos through to a six piece band, and wear full traditional costume for their performances including the option of Mariachi costumes.